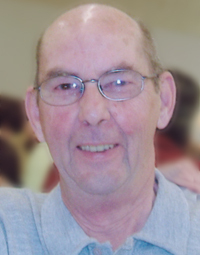 Peacefully at the Portage and District General Hospital on Thursday, February 7, 2019, Mr. Bert Saunders of Bruxelles, Manitoba passed away at the age of 79 years. He is survived by his wife Aline (née Geneau), daughter Amanda (Steve) Hutchinson, granddaughter Paige, and his sister Marg Camire, as well as numerous nieces and nephews, relatives and friends. He is predeceased by his parents Leroy and Rose Saunders and his sisters Joan Ryder and Shirley Pilkey. Born and raised in Winnipeg, to Leroy and Rose Saunders. In 1958, he joined the Hudson’s Bay Company, he worked in northern Saskatchewan, Manitoba and Ontario. Bert met his wife Aline in Weagamow Lake, Ontario and were married July 25, 1972. He continued to live in northern settlements until 1978, then transferred to Gilbraltor House with the HBC in Winnipeg, working in the accounting department until his retirement in March of 1995- 36 years of work. After his retirement Bert and Aline moved to Bruxelles, in August 1995. During his time up north he grew his love of fishing and hunting, canoeing and snowmobiling. After his retirement he loved his yard work and surveying his little kingdom from the “Big Hill”. Foremost Bert was a dedicated family man. He and Aline were married for 47 years and enjoyed spending quiet time together and playing cards. On February 7, 1976 he welcomed what he called “his greatest gift” a daughter Amanda. He was a loving and doting father who was actively involved in her life. On August 25, 2007 his granddaughter Paige was born and instantly become the “apple of his eye” He loved spending time with his “3 girls” the most. A Celebration of Life Luncheon will be held at the Bruxelles Community Hall on Tuesday, February 12, 2019 at 11 a.m.